PRCA Public Affairs Awards 2018 - Enter now! We are pleased to announce that DeHavilland are the headline sponsors for the PRCA Public Affairs Awards. The PRCA Public Affairs Awards celebrate the very best of the UK public affairs industry. Here you will find all of the information on what to expect from this year’s Awards – from previous winners, details on how to enter, and information on the night itself. The PRCA Public Affairs Awards are open to all parties involved in the public affairs industry: public affairs consultancies, in-house public affairs teams, charities, and think tanks. We are delighted to announce that Jon Craig, Chief Political Correspondent for Sky News will be our host for the evening. Jon is one of the best known journalists in the Lobby and has covered every major story from the Falklands War to the EU referendum and Brexit. Among many exclusives for Sky News, Jon broke the news of Lord Levy’s arrest in connection with the cash-for-honours inquiry. He has also covered nine general elections. 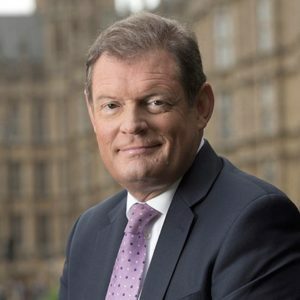 Prior to joining Sky News, Jon was Political Editor of BBC London having worked in print as Political Editor of the Daily Express and Home Affairs Correspondent at The Sunday Times. Jon hosted The Public Affairs Awards in 2014 and 2016 and is a regular keynote and after dinner speaker. Topics include the British Government and politics, the European Union and Brexit. He also has many stories to share from his time in the Lobby. You can find the full list of categories here, and for more details on how to enter, please click here. If you have any questions, please email Neha.Khatwani@prca.org.uk.